I’m going to try to make this quick because I’m quite sleep deprived this evening. Sick kid, enough said. She’s fine now and sleeping soundly. 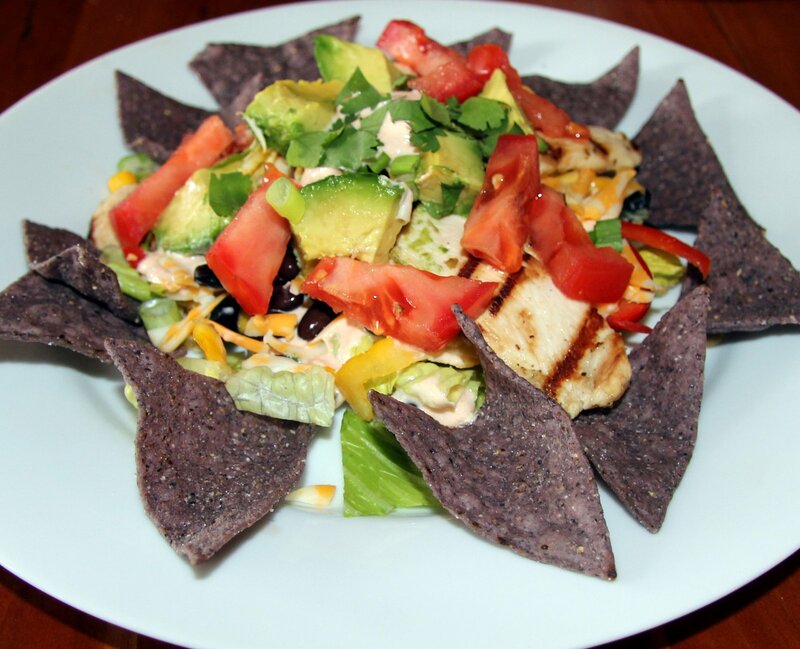 This grilled lime chicken salad is super good as it is, but if you wanted to deconstruct it and put the main ingredients in a taco shell, I think you’d be very happy. 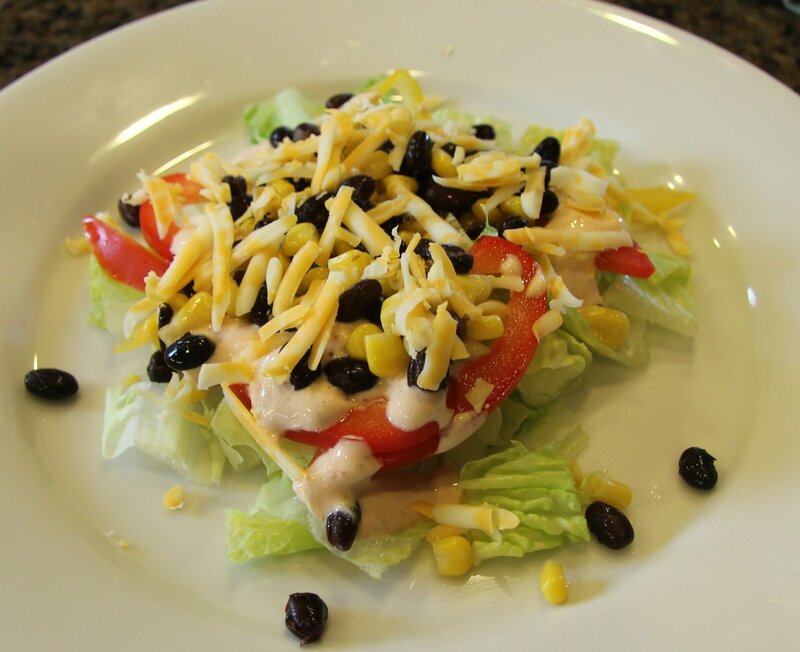 I plan to make the Chipotle dressing for a taco party we’re having this weekend. 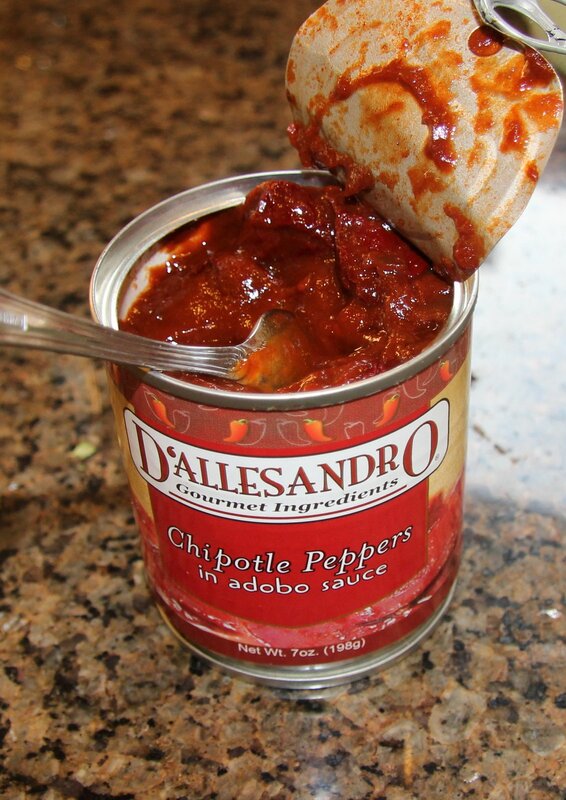 If you have never worked with Chipotle peppers in adobo sauce, I strongly encourage you to do so. They add a great smoky, spicy flavor to chili, marinades, salad dressings, scrambled eggs, and any of your favorite Mexican dishes. You usually only need a small amount for a single recipe so I puree the whole can and refrigerate what I don’t use. 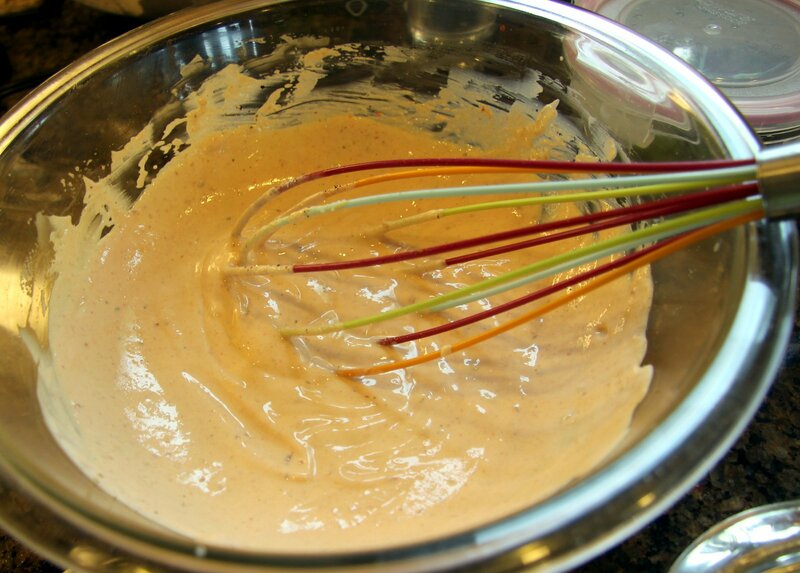 The puree will keep at least a couple weeks that way but you can also freeze it if you don’t think you will use it that fast. 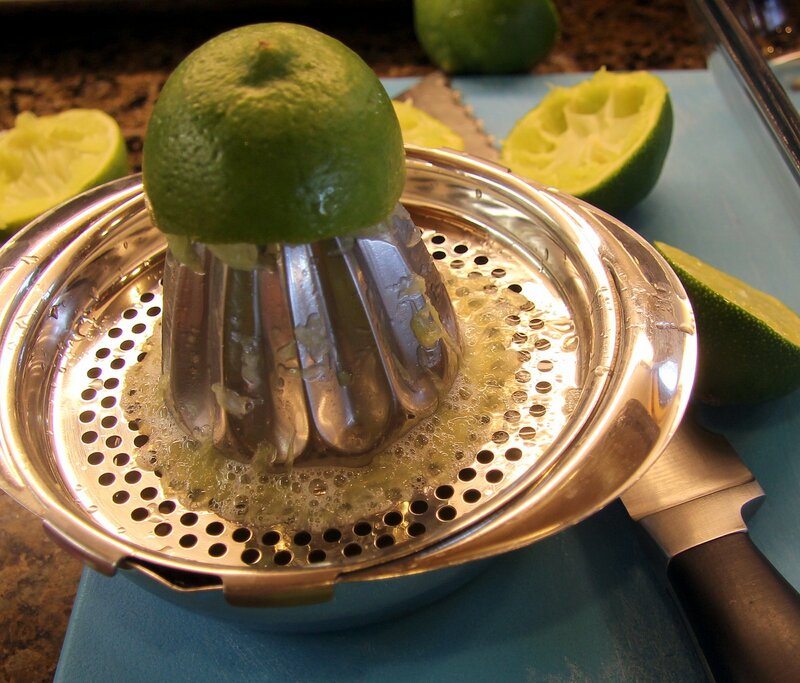 Stir all the ingredients in a 9×11 glass pan until combined. 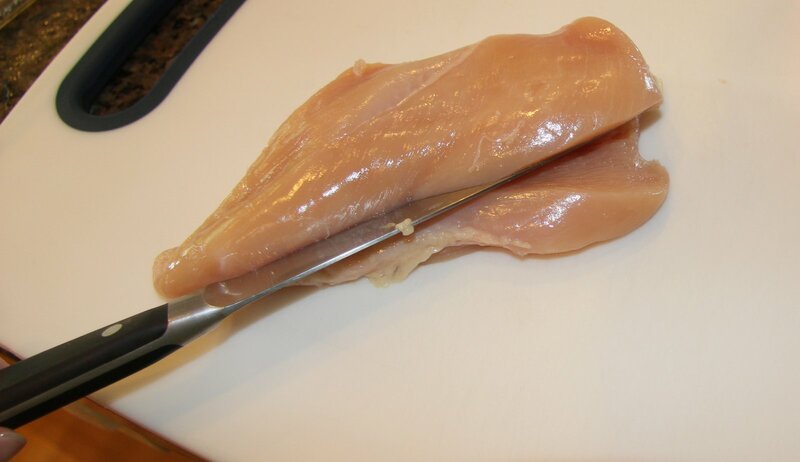 Place chicken in marinade. Slicing it thinly will shorten the time it needs to marinate so you don’t have to worry about doing it hours ahead of time. 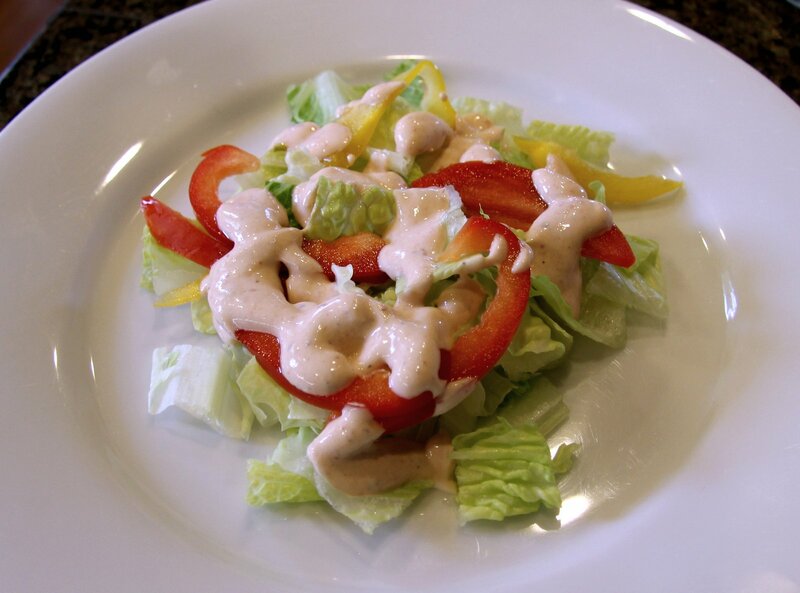 Allow it to marinate for @ 1/2 hour, turn chicken over after 15 minutes, while you prepare your dressing and salad veggies. 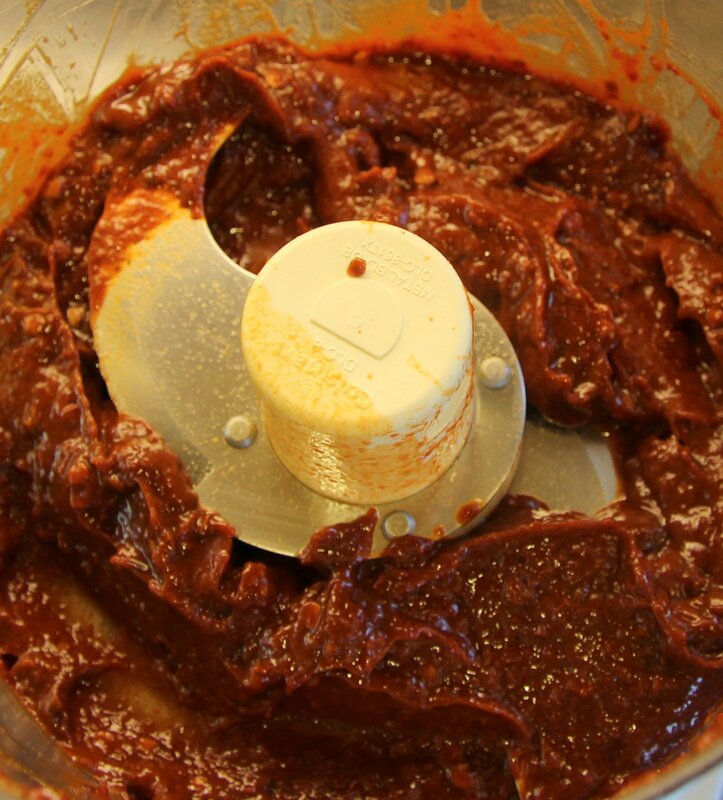 Puree Chipotle in adobo then combine all ingredients in a large bowl. Taste it and make adjustments if you need to. Prep your veggies and preheat your grill. I like to use a little nonstick spray specifically for grilling, make sure to spray it on before lighting the grill. 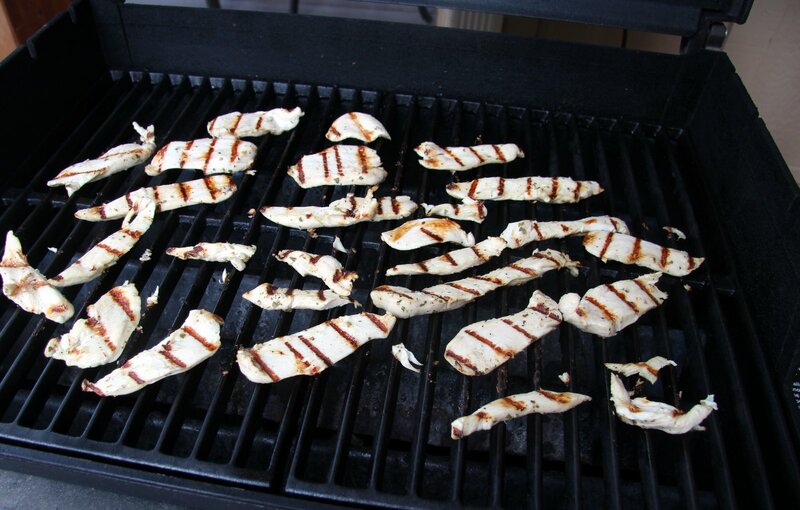 Or you can brush the grill or the chicken with a little cooking oil to reduce sticking. 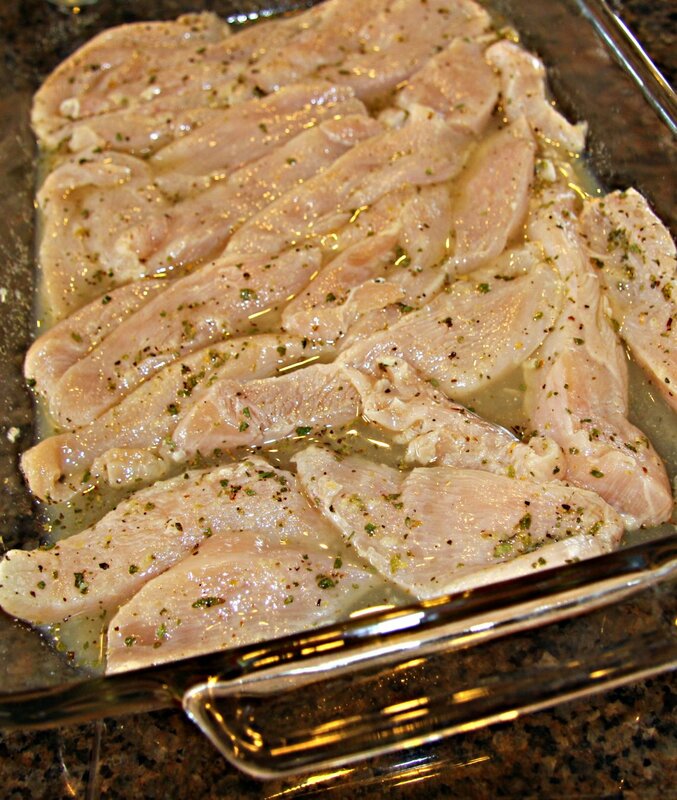 Place marinated chicken on the grill, carefully as they are thin, small pieces. Allow them to cook at med-high heat for a few minutes then turn. The meat should not resist or stick when you try to turn it. When it’s done on one side, it will come up easily and have nice grill marks (see photo below). Cook the other side for 3 – 5 minutes, remove from heat and set aside, covered with foil, until you’re ready for it. 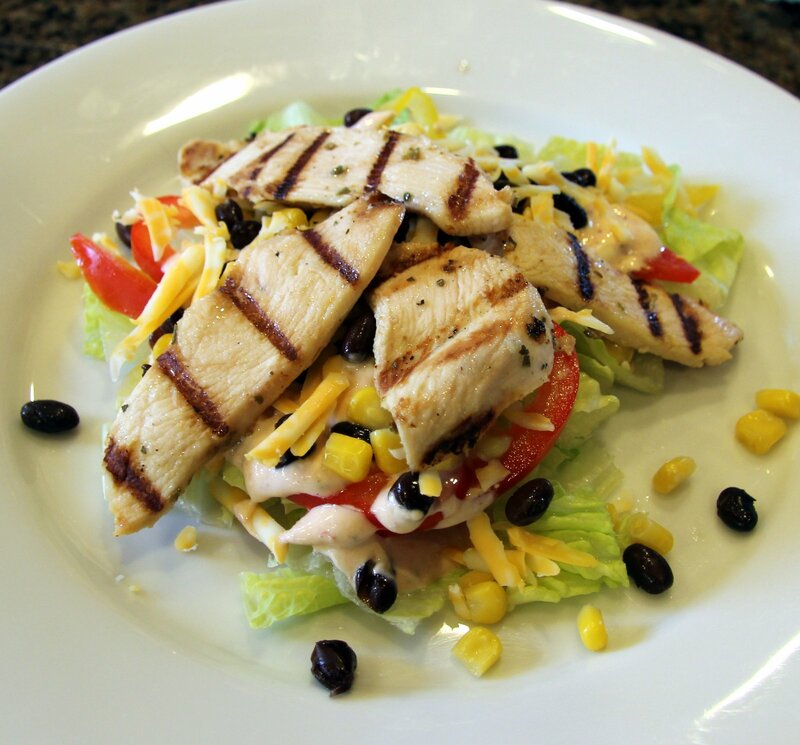 You can do it any way you want, it’s your salad after all. Have a lovely Memorial Day Weekend!